With the day's finally getting longer, a local zoologist believes the sun has set forever on one bat species — at least in New Brunswick. With days finally getting longer, a local zoologist believes the sun has set forever on one bat species — at least in New Brunswick. Donald McAlpine says the tri-coloured bat, a rare species to begin with, hasn't been seen in overwintering caves since 2013. Despite a lack of an official survey, the province's leading bat expert said it's likely the furry little critters are locally extinct. "For the last two years of surveys, that species looked locally extirpated," the New Brunswick Museum's head of natural science and zoology said. The tri-coloured bat has been the smallest of all bats in the province. It hasn't been found in Prince Edward Island and only rarely in Nova Scotia. A tri-coloured pattern emerges when the hair on its back is parted, hence the name. What likely claimed the population is white-nose syndrome, identified in New Brunswick as early as 2011. The disease is caused by a fungus traced back to a cave near Albany, N.Y. It can wake bats up during hibernation, speeding up metabolism and causing the animals to starve to death. 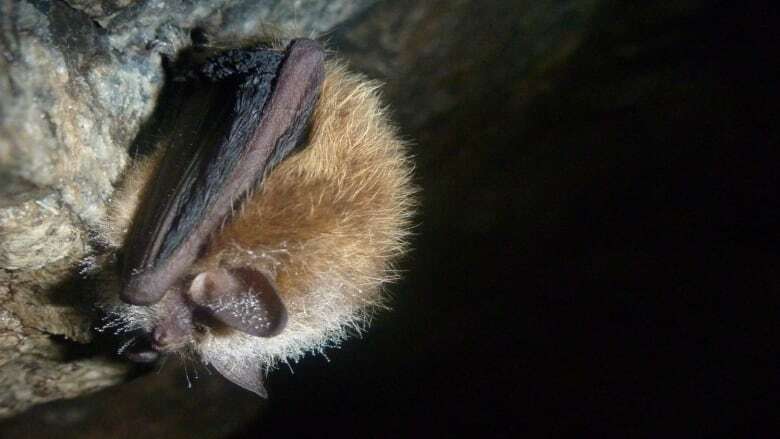 It was previously reported that three of the province's seven bat populations had been devastated by the infection, killing more than 99 per cent of infected fliers. While the 2015 bat count had to be placed on hold to leave the survivors alone, McAlpine said he hasn't seen a turning point since. "Right now we don't know if there's been any improvements in the population, but based on data in the northern U.S., where the disease has been there longer, there's no reason to believe there has been," he said. "There are no signs of recovery." The other two bat populations affected by the syndrome haven't been eradicated, he said. The little brown myotis and the northern long-eared myotis — once the two most populous species in the province — are difficult to tell apart with an untrained eye. McAlpine still receives calls about bats trapped inside people's homes. Other species of bats found in New Brunswick travel south for the winter and don't settle in people's homes, he said. But the little brown bat has a huge range across North America, McAlpine said, and modelling suggests it will recover. "For the northern long-eared, it may not," he said. But the tri-coloured bat had a small population to begin with. "In a good winter, we might see thousands of bats (hibernating), we might see 20 of those." Although the species can be found in Ontario, too, McAlpine said it's unlikely to be reintroduced naturally by humans into New Brunswick. Ontario's tri-coloured bat will also be affected by the fungus and will need to re-populate. Jean Bertin, a spokesperson for the Department of Energy and Resource Development, said all three types of bats are listed under the New Brunswick Species at Risk Act as "endangered." "They don't have automatic protections, but they and their habitats are considered during any land development proposals," he wrote in an email Wednesday. "Where those three species listed above occur on federal lands within [New Brunswick], they would also be protected by Canada's Species at Risk Act under which they are also listed as endangered." McAlpine said he hopes to travel to some caves and investigate more closely next winter. Although the situation in New Brunswick remains dire, the researcher sees a silver lining. "The positive thing is, there's still bats out there," he said. "At this stage, any bat that's been exposed to white nose and is still flying would have some sort of immunity to the disease."